The 61st seed Vermont – The Green Mountain State will face the 68th seed Wyoming – The Cowboy State. The 62nd seed Virginia – The Old Dominion State will face the 67th seed Ohio – The Buckeyes. The 63rd seed Pennsylvania – The Keystone State will face the 66th seed Wisconsin – The Badger State. The 64th seed Washington – The Evergreen State will face the 65th seed North Dakota – The Peace Garden State. The 4 winners of this round will earn a spot in the Round of 64, commencing at 9 AM on March 21st. Subsequent rounds will narrow the field by eliminating the lowest performing teams through the Round of 32, Sweet 16, Elite 8, Final Four, culminating in the final Championship Round. 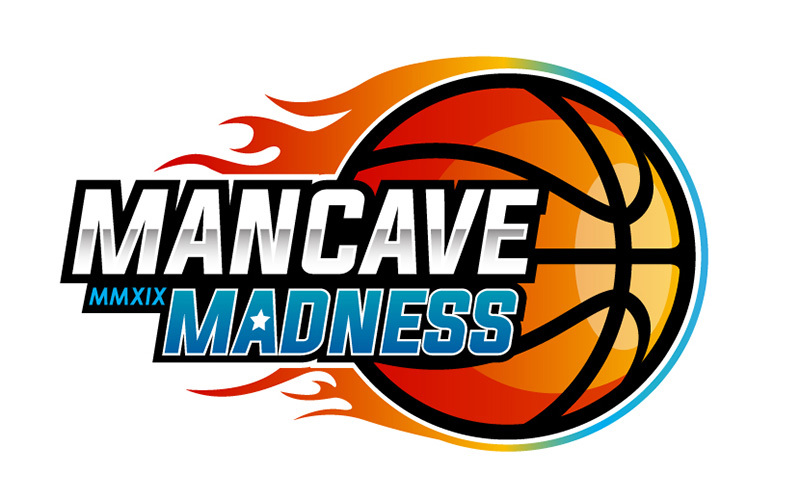 The MAN CAVE MADNESS CHAMPIONSHIP ROUND will commence at 12:01 am on April 7th and last until 10 PM, APRIL 8TH – The team that raises the most money in the Championship Round will win the tournament, receive the prestigious Man Cave Cup AND $5,000 CASH!